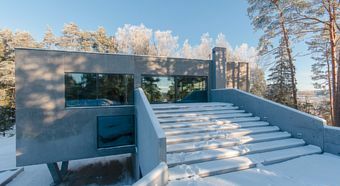 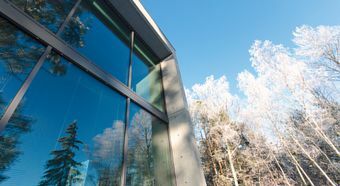 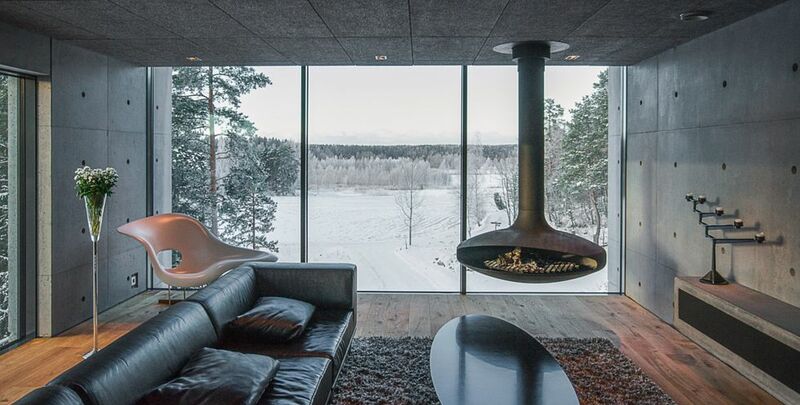 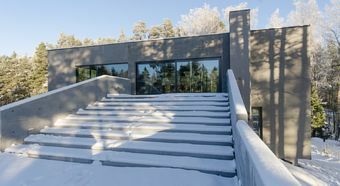 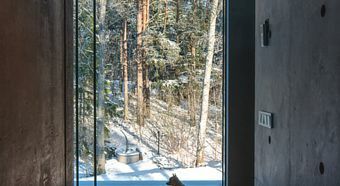 VillAma is a surprising villa in the archipelago environment in the Hirvensalo area in Turku. 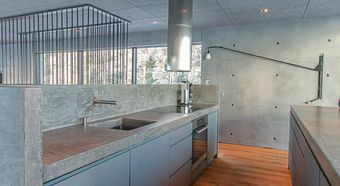 Instead of a traditional villa with lacy decora­tions, the owner wanted a concrete home. 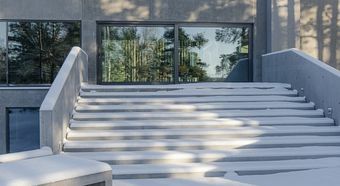 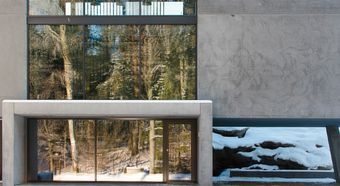 The result was an elegant building of minimalistic forms, naturally adapted to the rocky hillside. 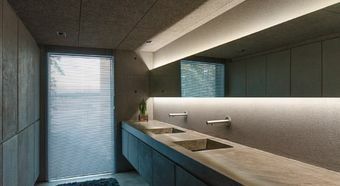 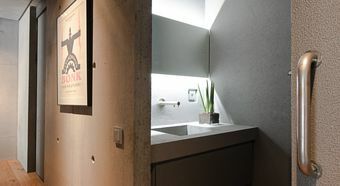 The starting point of design was to use build­ing materials and fixtures that do not reveal the decade of their manufacture. 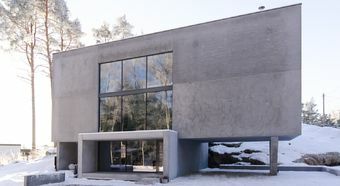 The building will not become visually aged. 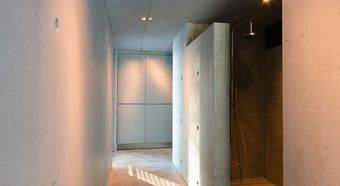 Another starting point was a box-like appearance with direct lines. 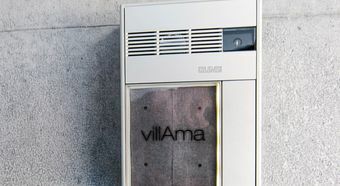 There are hardly any curved forms in VillAma. 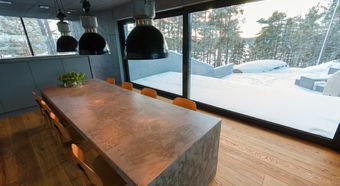 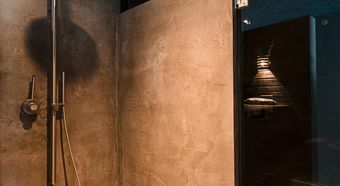 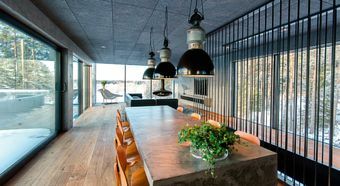 The industrial style continues in the fixtures: the kitchen island and the large table as well as the tables and benches on the outdoor terrace are also concrete structures. 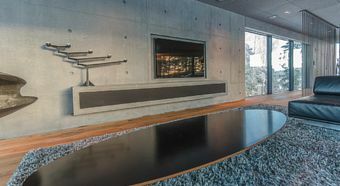 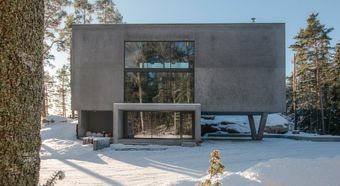 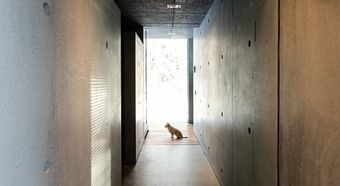 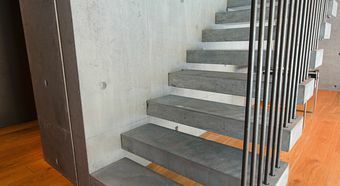 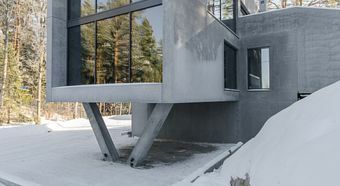 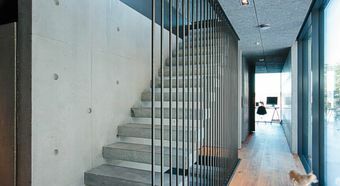 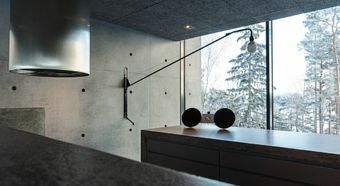 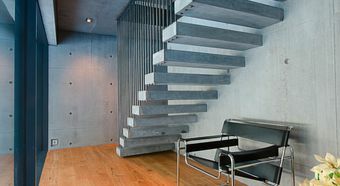 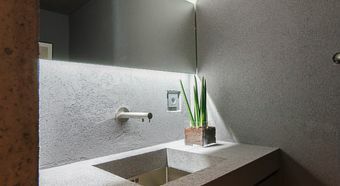 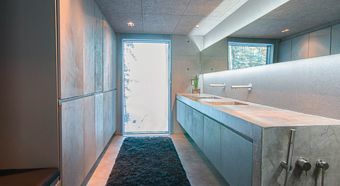 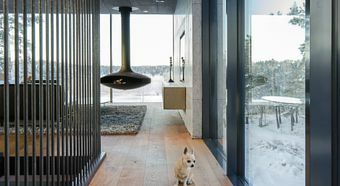 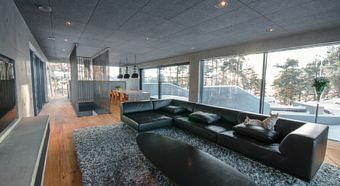 The most dominant feature on the outside of the three-storey house is a concrete cube, a rectangular space that contains the living room, with a full-width window at one end. 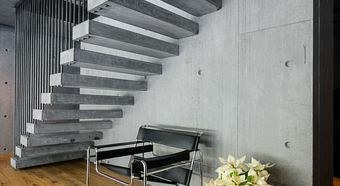 VillAma was built of precast concrete units. 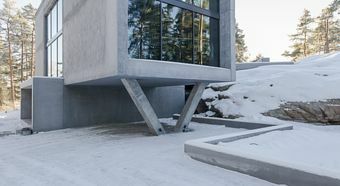 All the concrete surfaces were left in sight.